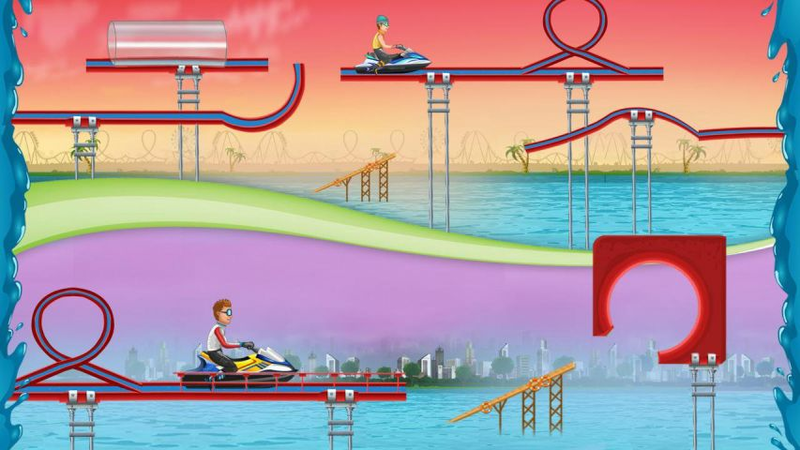 Race with your Jet Ski and with Water Racing - New Android Game. Download and Play our new (FREE) racing game - Water Racing on Google Play now! Race and ski through the water. Glide, ski, slide over the waves to win the race. Collect coins and unlock new achievements. Buy and upgrade new Jet Ski to win. Play game in 3 modes - Time Mode, Race Mode and Stunt Mode. Enjoy a new water racing game from Timuz. *3 game modes to play. * Explore 12 water raceways. *12 characters and 10 jet ski to unlock. Install and Play our new racing game – “Water Racing” for free on Android now!